WATERTOWN, CT - 26 August 2013-082613EC03-- Watertown's quarterback, A.J. 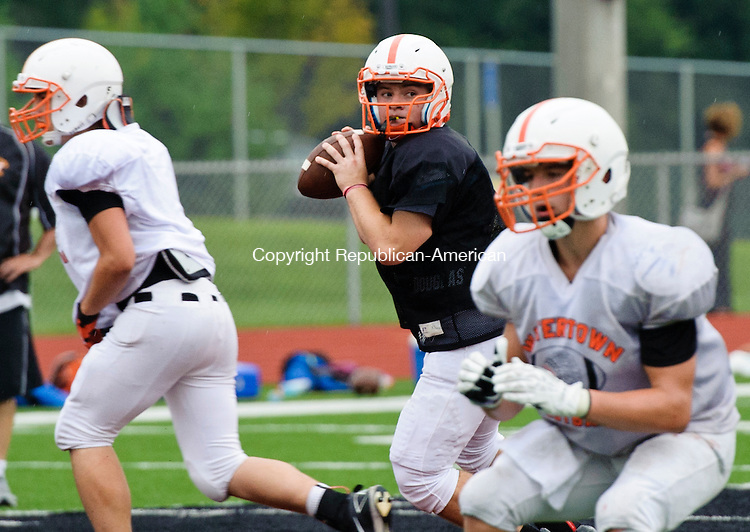 Cattaneo, looks to pass Monday during a scrimmage against Avon. Erin Covey Republican-American.